Cell Tower Site Construction – Partners Communications Services, Inc.
PCSI has a dedicated force that performs fiber construction and equipment installs on cell tower sites in the southeast region. We are certified with all major tower owners including but not limited to Crown Castle, American Towers and SBA Towers. PCSI takes the fiber conduit from ROW tie points, boring to the tower hand holes, and hand digging in the towers to the final demark. 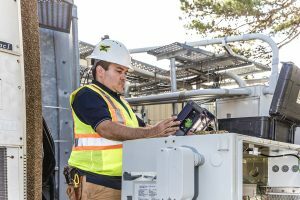 Followed by a team of equipment installers and fiber splicers, we regularly turn up tower rings and provide a turnkey product.